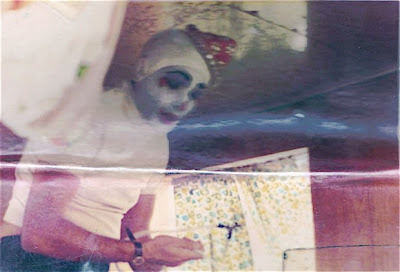 Bobo's early, Felix Adler-inspired whiteface. He's wearing a little moustache that would soon become world famous, carrying only a nightstick and the possibility of greatness. It's Charlie Chaplin, making a cameo appearance in a Keystone comedy called A Thief Catcher in January 1914, just about a month after he started working at the Edendale, California, studio. It's the 36th film he made in a frantic year's activity before he left for more green, not to mention greener, pastures. Until a few months ago, nobody knew it existed. A Thief Catcher, released by the Mutual Film Corporation on February 19, 1914, was thought to be among the half of all silent films lost to history. The short actually stars Ford Sterling, Mack Swain and Edgar Kennedy. Chaplin appears for perhaps 2 minutes of the 10-minute film. Finding a lost Chaplin appearance can be roughly compared to finding a lost Beethoven quartet, and you can hear many potent notes in his brief appearance. Following on the heels of a previously lost 1927 John Ford film, a Clara Bow film and others being discovered recently in New Zealand's film archives, the existence of A Thief Catcher proves yet again that amazing discoveries are still possible even after a hundred years. The 16mm print was found by historian and collector Paul Gierucki at an antiques show in Michigan. Thinking it was just another old Keystone comedy, he didn't look at it for a while. He finally got around to it in early March and quickly realized what he had. "Is this who I think it is?" he asked fellow collector Richard Roberts, sending along a frame grab. "Probably," said Roberts, "but we need to see him move." Once you've seen him move, there's no question who the actor is. Mabel's Strange Predicament, the first film in which Chaplin appeared in his famous makeup, started shooting January 6th, 1914 - a day after production began on A Thief Catcher. "It's either his second moustache picture or his first," says Richard Roberts. "It cements the concept that he had the character before he came to Keystone and didn't slap it together on the way to the shooting stage one day. Even when he's doing a minor part he's doing that character. It's a new brick in the Chaplin biography. And this opens up the door to other unknown Chaplin appearances at Keystone." Every few years, someone rushes to the press with news of a lost Chaplin film, which invariably turns out to be a familiar film with a different title. But A Thief Catcher is the real deal. Chaplin wasn't a known commodity in February 1914, when the picture was released. That would come gradually over the next nine months as his starring comedies took the world by storm. In later years, Chaplin did an unbilled cameo in a 1915 Essanay comedy entitled His Regeneration, as well as a surprise appearance as himself in King Vidor's 1928 feature Show People. A Thief Catcher will be unveiled at Slapsticon, a film convention, on July 17th at 8:00 pm at the Spectrum Theater in Rosslyn, Va. In past years, the International Film Festival Slapsticon has prided itself on recovering and presenting lost comedy treasures, even discovering previously undocumented films featuring the Great Clowns of early cinema, rewriting film history books and filmographies. This year, at SLAPSTICON 2010, motion picture historians will be updating the filmography of the Greatest Comic of All, Charles Chaplin, as SLAPSTICON presents for the first time since it’s original release, Chaplin’s 36th Keystone short subject, a heretofore unknown appearance Chaplin made at Mack Sennett’s legendary Fun Factory in the same year and at the same studio in which he made his film debut. 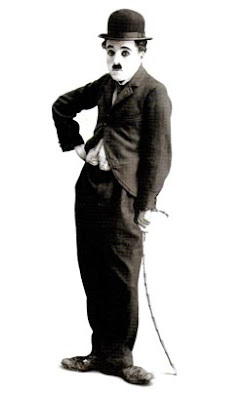 Chaplin had recalled in his own autobiography that apart from his starring role Keystone Comedies, he had also played bit parts as a Keystone Kop in several pictures. Despite this information, the titles of these works remained elusive for over 90 years and no film prints have surfaced -- until now. SLAPSTICON 2010 proudly presents one of those previously thought lost Keystone comedies, A THIEF CATCHER, released by the Mutual Film Corporation on February 19, 1914. The short stars Ford Sterling, Mack Swain, Edgar Kennedy, and features Chaplin making an extended and very funny cameo as a policeman. The film was shot January 5th through January 26th, 1914, making it perhaps the second or third film Chaplin made at Keystone. 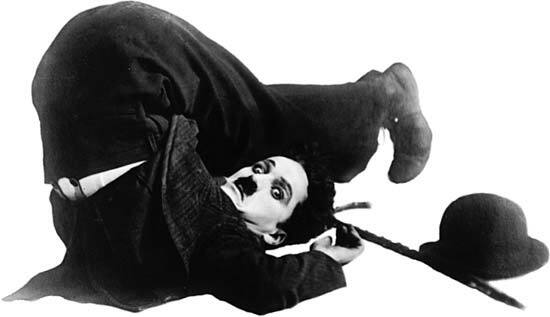 The short was released following Chaplin’s third starring Keystone comedy MABEL'S STRANGE PREDICAMENT. Its importance as an early Chaplin appearance cannot be underestimated, and definitely adds another interesting chapter to Chaplin’s early film career. The print of A THIEF CATCHER was discovered earlier this year by Film Historian / Preservationist Paul E. Gierucki, current head of restorations for CineMuseum LLC, and one of the"Godfathers" of a group of Comedy Film Historians known as the “Silent Comedy Mafia” who help to organize the yearly Slapsticon festivals. A THIEF CATCHER will be part of a Chaplin Rarities Program at SLAPSTICON 2010 showing Saturday Evening, July 17th at 8:00 pm at the Spectrum Theater in Rosslyn, Va. Also featured in the Rarities program will be a newly recovered reel of Chaplin Outtakes from his Mutual Comedies, and a sparkling print of Chaplin’s Liberty War Loan propaganda short, THE BOND (1918) featuring outtakes from that film. These remarkable comedies are just a few of the rare treasures that will be screened in the four days of SLAPSTICON 2010, which runs Thursday through Sunday, July 15-18th at the Rosslyn Spectrum Theater in Arlington, VA. For more information, a complete program schedule, registration and hotel information, go to www.slapsticon.org. The 7 Ashtons learned their Risley act from their maternal cousins, the Warrens (AKA The Martinettis) who went to Europe in the 1930s and returned with the outbreak of World War II. The Ashtons left Australia in 1946 and sailed to South Africa and Europe where they performed 10 times at the London Palladium and a Royal Command Performance. They finally ended up in the America where﻿ they appeared in New York at the Latin Quarter. Managed by Sir Lew & Leslie Grade, they were rumored to be amongst the most highly paid variety performers of their time. 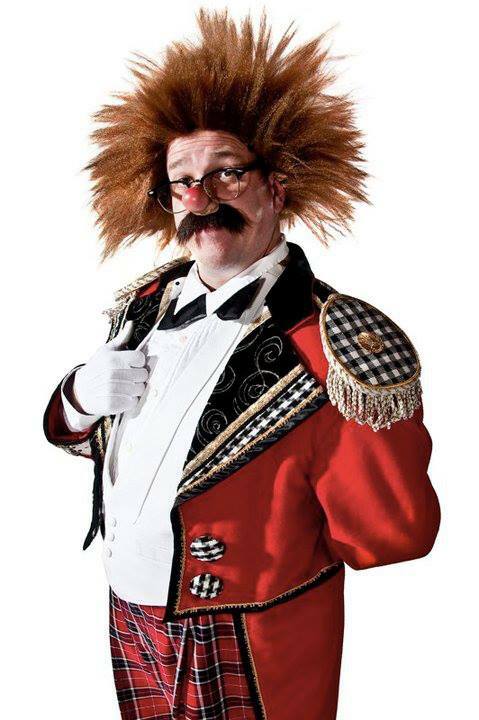 The comedian of the act is, of course, Dougie Ashton. 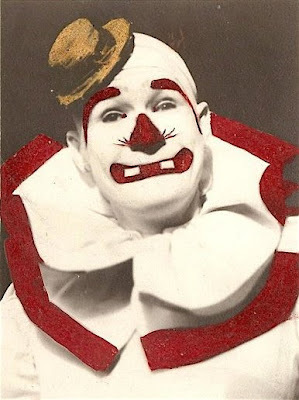 When the act broke up Dougie was prominently featured for several seasons in the Clown Alley of the Ringling Bros. and Barnum & Bailey Circus where he was widely regarded as one of the very best circus comics of the mid 20th century. 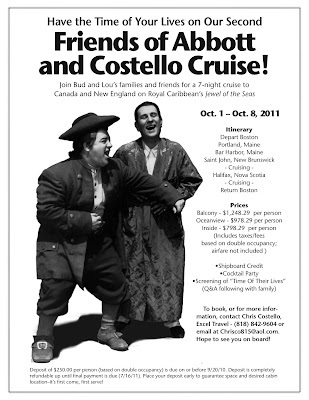 ABBOTT & COSTELLO: The Friends of Abbott & Costello Cruise 2011!!! Jackie Gleason, Professor Irwin Corey, Jayne Mansfield and Frank Fontaine as Crazy Guggenheim. See what you can do when you take the whistle out of your mouth? 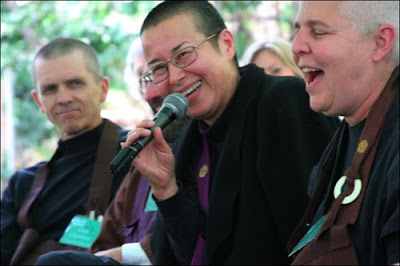 This conversation between Moshe Cohen and Roshi Egyoku took place during Cohen's six weeks (Jan-Feb 2007) as an artist in residence at the Zen center of Los Angeles. A few times a week, he would sit down for a half hour chat to examine the relationship of Clowning and Zen. 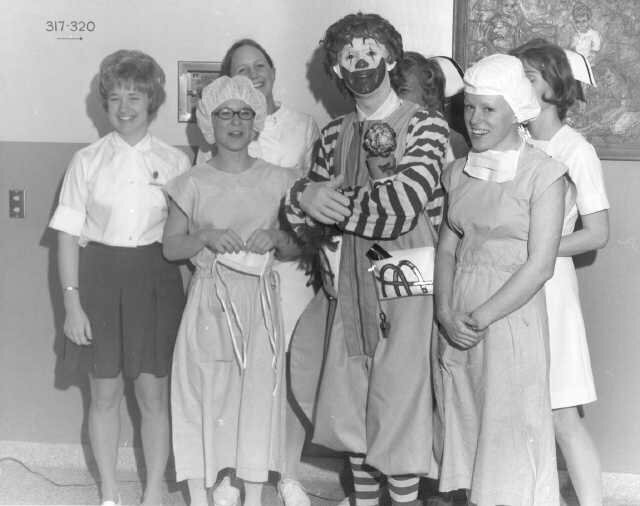 Why was McDonald's so delighted to hear that Ringling had opened their Clown College? Because, if Ringling hadn't, McDonalds' program would have continued to be populated with Ronalds like this. 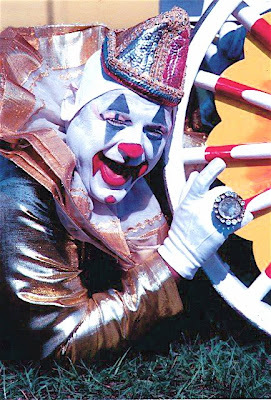 Is there someone more familiar with South American circus clowning that could point me to the better stuff, the stuff that isn't... this? 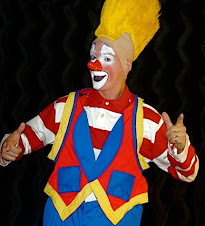 Anyone interested in my Clown College "agent suit" (jacket, pants, vest, shirt and tie), Clown College "Bozo" wig and/or my Clown College coveralls, please contact me at cashincomedy@yahoo.com. 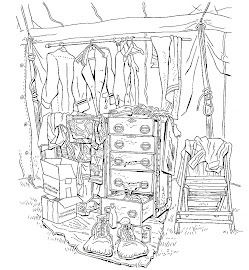 There is a laundry list of magic props that I'll post next week. 30 years ago, THIS is what circus clowning in America looked like. 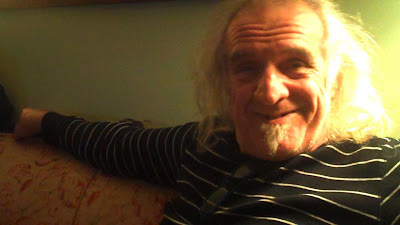 "Pat__they wanted to get rid of some clowns__and they want to see who could and couldn't get a laugh__and there where some clowns trying to bring a union into CW and they want those clowns gone I think not sure__but my job was saved and I lasted till my brother died and I left to go to his funeral and never went back except to visit Bill Hamilton and the alley from time to time..I enjoyed working with all those people,many of them now work for Sea World and Disney now." 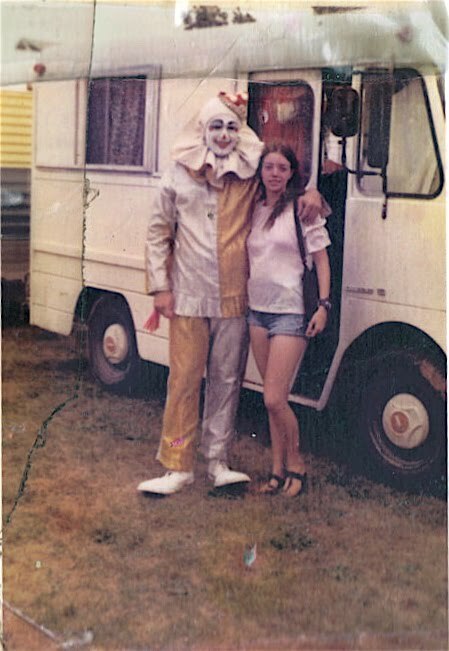 "Clown Theory" is an event of the soul and mind. There are no previous experience required, in fact the less you know the more freedom you will find. 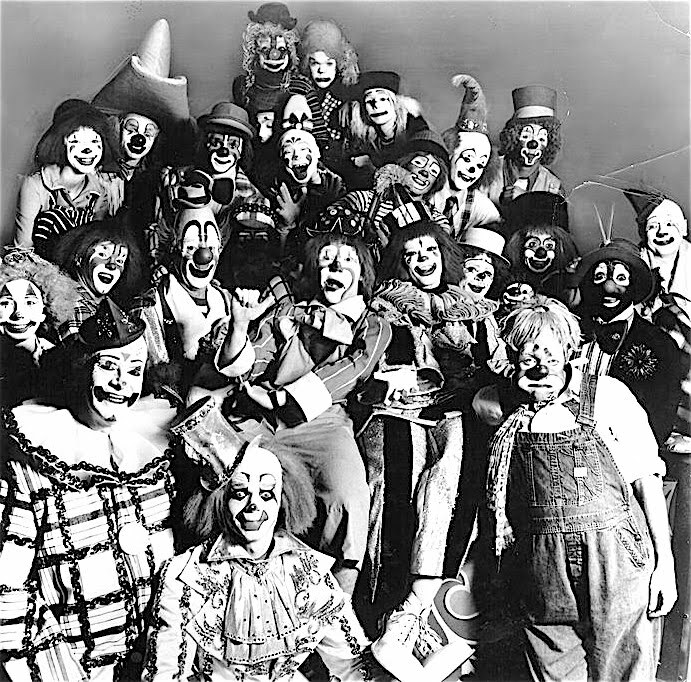 The stage is the least important place for the clowns spirit...Life is the grand stage with the greatest risk but grandest reward. To be clown means you must do one most important thing. Know who you are. You don't have to change but be honest to yourself and able to admit the truth to those who ask. This is the painful part but to have the right to reflect humanity one must see oneself first. In this class I'm not the teacher, I'm the doorman. I just open the doors...you have to walk through them. "Come on in!" 26th and 27th (CLOWN THEORY -1ST LEVEL) NEW GROUP! 24th and 25th (COMIC FORMULAS 2ND LEVEL) NEW GROUP! Hopefully, if enough of you ask nicely, Holly will favor us with some of her circus stories here.